Opgemärkt is a young, optimistic community that notices positive sustainable initiatives, offers them a stage and makes them available to a wider audience. With an idealistic DIY mindset, we organize accessible activities and stylish products, inspired by the effortlessness of Scandinavia. counteract the often pessimistic atmosphere that is inextricably linked to environmental issues by showing that there is a young, enthusiastic generation with tons of ideas and innovations. An online and offline map filled with sustanaible and stylish initiatives in Amsterdam (and later on the rest of the world). It’s a map, linked with an Opgemärkt-classification system, with the best (bio) restaurants, cafés, shops, parks, hubs, hotspots, Scandinavian inspiration, city tours and more. We are developing this map to show which initiatives there are and make them accessible and to show how much fun, how little effort and how hip sustainability is. 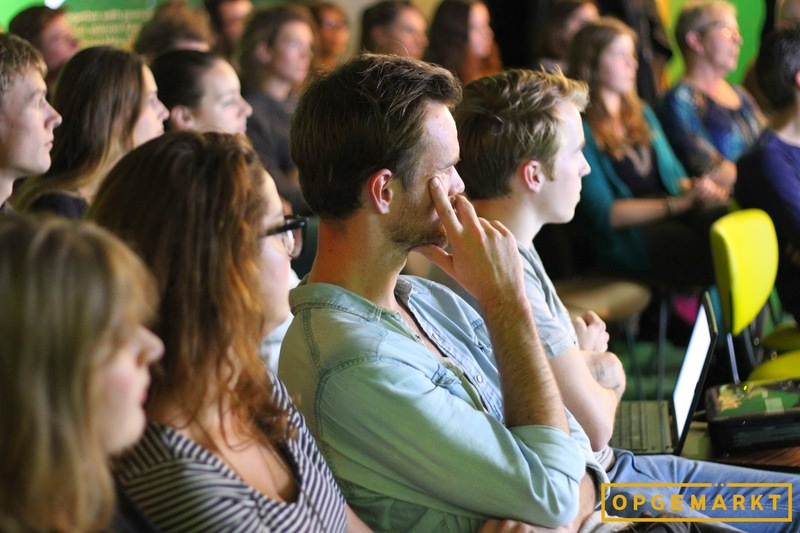 Since November 2014 we organize TRÄFF's in Amsterdam where we invite young people with interesting, inspirational or creative stories and projects about sustainability in a positive way. We want to show the world not only how important sustainability is, but also how much fun, beauty and ease come with it. There we are inspired by Scandinavia. They really are much further up North, developing all kinds of inventive ideas (like 100% compostable packaging, how cool is that) and sustainability is seen as something really positive. Moreover, Scandinavians have style - and why shouldn't sustainability be stylish? Our president lived in Sweden for a year, from where she returned passionate about sustainability. In our current Dutch team we have some Swedish-speaking people and people who have connections in several Scandinavian regions. We also work together with our local heroes in Malmö and surroundings, speaking the language, knowing the city and loving the country. Since February 5th, 2015, we are officially registered at the Dutch Chamber of Commerce as a non-profit organization (voluntary association, vereniging in Dutch). Our legal number is 62592092, which can be found on the website of the Chamber of Commerce.